Throughout the state of Florida many homes are installed with whole house water filtration systems to provide softer, cleaner water. There are a number of benefits of installing water filters in a home. However, like your HVAC system, the filter also requires maintenance and care. 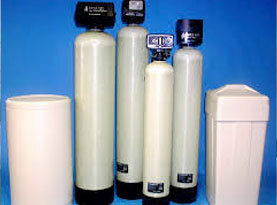 Most water filter systems do require their filters to be changed. 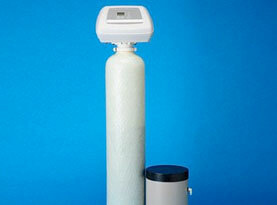 Water filters can vary as to when the filter needs to be changed out. To better understand how often your water filter needs to be changed, AAA Water Team will share when is the best time to change your home water system filters. There is a misconception that water filter systems don’t need or use a changeable filter. This simply isn’t true. A water filtration system uses a filter that is designed to trap and collect the particles inside the water. There are a number of particles found inside water from rust, calcium, silt, and other sediments. The filter helps clean the water and reduces the particles that make it into the home. Most particles aren’t harmful and minerals in tap water are actually needed. Nonetheless, it is still good to reduce the other contaminates found in the water. The filter will capture the particles in the water and over time will fill the filter and it will no longer be able to remove the particles in the water. 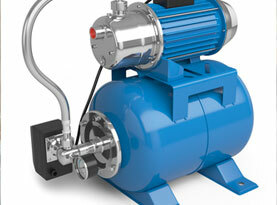 This can restrict the flow of water into the home. Once the flow of water becomes restricted and the filter is full of sediment and particles, the filter needs to be changed. There are many different types of water filtration systems and they all use different types and sizes of filters. To answer the question as to when to change the filter, it varies due to size and type of filtration system. 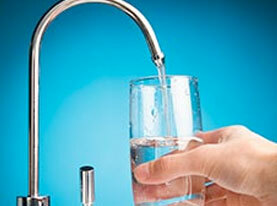 Another consideration is the condition of your home tap water, city and well water. The location varies greatly on the amount of particles and other contaminants that is found in the water. To know what type and size of water filtration system is best for you, your home’s tap water should be tested first. The results of the test can help give you a better knowledge of your water and how it can be improved. Additionally it can also help give you a better idea of how often the filter will need to be changed. However, some systems do use changeable filters. UV light filters don’t use a physical filter. It kills microorganisms instead of trapping particles. Other filter systems are designed to soften the water by reducing the calcium and other minerals in the water. When choosing the right home filtering system for you, ask about the maintenance and which system uses a filter and how often they need to be changed. When it comes to sediment style filters, you’ll find they often need to be replaced every three to six months. Microorganisms style filters often last longer. These filters can last from nine to twelve months before they need to be changed. When choosing the right filter system for your home, make sure you learn about the maintenance and when to have the filter changed. For quality water purification systems, repair and water testing, contact AAA Water Team today.